The law states that each child has the right to be supported by both of their biological parents. In other words: It is the child who has the right to the support, not the parent. This is an important distinction and one that parents frequently misunderstand. Child support is meant to be used to ensure that every child is adequately clothed and fed, and lives in a proper home. Child support is calculated based on your net monthly income, with certain deductions allowed. The number of overnights each of you spends with your child determines what percentage of each of your income is to be allotted to your child’s care. If the court diverges from these guidelines, a written explanation for that departure is required. Under the IRS code, child support is not deductible from the payor’s gross income, nor is it included in the recipient’s gross income. Because child support is for the child, not the ex-spouse, the IRS puts the tax burden on the parent providing the money for the child. Every state takes the payment of child support very seriously, and Indiana is no exception. Non-payment – or even late payments – can result in garnished wages and possibly imprisonment. This is true even if one of the parents, or the child, no longer lives in Indiana, as long as Indiana courts still have jurisdiction over the payments. Child support is usually required until the child turns eighteen or graduates from high school. Indiana does not require a parent to continue to support a child as they go through college. However, child support must be terminated by an order of the court. Neither you nor your ex-spouse should simply stop making payments when a child graduates or turns nineteen. In order to avoid being found in contempt of the court, a motion should be filed with the court, formally requesting termination. If you owe back support, you should consult an attorney before the court demands your presence to explain your lack of payment. Failure to do so could result in heavy fines and possibly your arrest. If you believe you are not receiving enough child support (or that you are paying too much), you should consult a qualified attorney to help you file for a modification of the support order. Any kind of change in support requires filing a motion with the court. You cannot legally decide for yourself – or even with your ex-spouse’s consent – to make changes in support payments. The best way to protect yourself is to consult with an attorney. Our Divorce Budget Worksheet is a helpful starting point for looking at your finances so you have a clear idea of what you can afford after your divorce. However, circumstances change, which sometimes means that the support amounts you and your ex-spouse originally agreed upon need to be reconsidered. The amount of change allowed and the factors leading up to the requested changes vary depending on the circumstances and the type of support you wish to modify. For any type of support, some of the factors the courts take into consideration include but are not limited to the loss of a job or income, or a new job or increase in income, of either the payor or the recipient. Support payments can only be modified by an order of the court regardless of the situation. Even if your former spouse agrees to the changes, you cannot modify the amount you are paying without first asking the court to approve the change. The courts consider the nature and expected duration of your or your ex-spouse’s circumstances (i.e. the continued and significant change of circumstance standard) in deciding whether or not to modify support payments. First, the current support order must have been in place for at least 12 months prior to the request for modification. If your situation or your former spouse’s has changed, perhaps an increase or decrease in support is warranted. Proper legal advice based on the facts of your case will give you a better idea of how your situation will be viewed by the courts. When you or your former spouse does not make support payments, it’s important to have the court involved as soon as possible — regardless of which side of the problem you’re on. If you find that you can’t make the amount of the payments ordered by the court, it’s important to notify the court as quickly as possible and ask for a modification. Notifying the court immediately will help you avoid charges of contempt. It also establishes with the court that there may be problems making the payments. That way you won’t have to try and explain to the judge later why you missed payments and didn’t tell anyone. 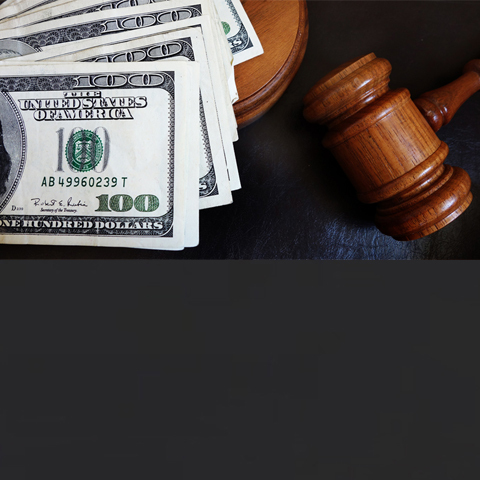 If you are not receiving the payments ordered as part of your divorce judgment, it is equally important for you to get the court involved so that you can ensure you receive what the court believes you are entitled to. If you allow the unpaid amount to get too large, getting repayment becomes difficult – or even impossible. Additionally, making sure the court knows about the problem – from either side of the issue – will give the judge a chance to contain the situation and reduce the need for extensive (and expensive) hearings to correct the problem. Work with your attorney to help you apply for a modification to your support agreement or to help you navigate the complexities of non-payment of support so that your rights – and those of any children involved – are protected.